​Baptisms are celebrated the first two weekends of each month. Parents are required to attend a baptismal preparation class prior to the baptism. The classes are held on the third Saturday of the month, 9:30 - 11:30 am. 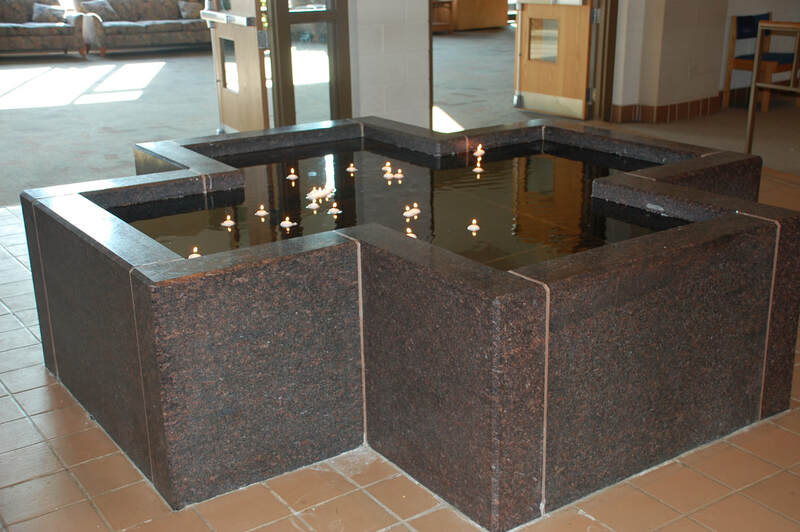 Please call the parish office at 763-424-8770 to schedule your child’s baptism and register for the Baptismal Class. ​Children over the age of seven and adults wishing to be baptized will prepare for sacraments through the Rite of Christian Initiation (RCIA) and will celebrate at the Easter Vigil after a year-long preparation. For more information, contact the parish office at 763-424-8770. The Sacrament of Reconciliation is celebrated on Saturdays at 4:00 pm or any time by appointment. Call the parish office to schedule, 763-424-8770. Preparation for First Reconciliation will be mainly in second grade, for children who have already been baptized. In addition to attending weekly faith formation classes, there will be three required family meetings as part of the preparation and some at-home formation. First Reconciliation will be celebrated mid-winter. All children preparing for the sacrament must be enrolled in the weekly Elementary Faith Formation program. Please contact the parish office at 763-424-8770 for children older than second grade who need preparation for First Reconciliation. Preparation for First Eucharist will be mainly in second grade, for children who have already been baptized. In addition to attending weekly faith formation classes, there will be three required family meetings as part of the preparation and some at-home formation. First Eucharist will be celebrated late spring. 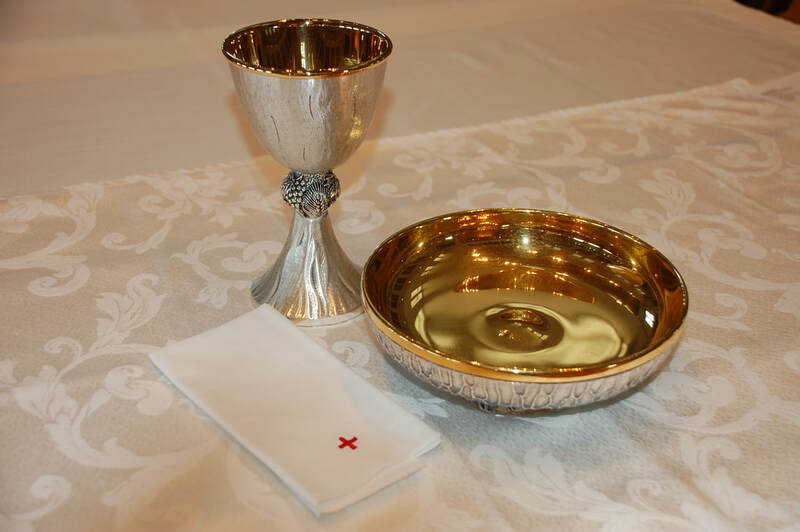 All children preparing for the sacrament must be enrolled in the weekly Elementary Faith Formation program. Please contact the parish office at 763-424-8770 for children older than second grade who need preparation for First Eucharist. Teens in grades 9-12 are invited to prepare for the Sacrament of Confirmation. The Confirmation process is a one year program beginning in the fall, with the celebration of the Sacrament taking place in the spring. The Confirmation curriculum used is Decision Point, and it uses a variety of videos, small group discussions, and activities to prepare youth to receive the Sacrament. When students enter into the preparation process, they agree to participate in a small group that will meet weekly on Sundays (6-7:30 pm), participate in a parish ministry of their choosing, and attend a day long retreat. For more information, contact Judy Foster at judyf@st-gerard.org or 763-424-8770 ext. 133. Parishioners planning to celebrate marriage should contact Amy at amyw@st-gerard.org or 763-424-8770 at least six months prior to the desired date. Couples should participate in a Marriage Mentoring Program, discussions with a priest, and an Engaged Couples Retreat. We have a staff of Eucharistic Ministers that will go to the home and bring the ill or homebound Holy Communion and share the gospel of the week, or just pray with them if they choose. If you would like information or to volunteer contact the parish office at 763-424-8770. The Sacrament of the Anointing of the Sick is celebrated after Mass in the Church on select weekends each month. If you are facing a serious illness or are preparing for a major surgery and would like to receive the Sacrament of the Sick, see the schedule below. If you have any questions, contact the parish office at 763-424-8770. ​RCIA is a program in which we explore and learn about the Catholic faith, ultimately ending at Easter time by celebrating the sacraments and becoming a member of the faith. For more information, contact Judy Foster, the Director of Faith Formation, at judyf@st-gerard.org or 763-424-8770. ​This ministry is designed to prepare children and youth who have not received sacraments at traditional ages to receive baptism, First Eucharist and First reconciliation. Contact Judy Foster, the Director of Faith Formation, at judyf@st-gerard.org or 763-424-8770 to arrange for this preparation. Sessions are offered as needed and can be done at any time of the year, but usually over the summer months.